If your comic book heroine is the lead singer in a rock band then you damn well better have some music to back that up. Thankfully, DC Comics did just that and 'Black Canary' has gone live with a 3-track EP appropriately titled "EP-1" on Bandcamp. It's a great marketing campaign to promote the release of the first collected trade, Kicking and Screaming available now. DC went as far as creating a page on their official site for the band made up of D.D., Lord Byron, Paloma and Ditto. Of course Dinah Drake Lance aka D.D. 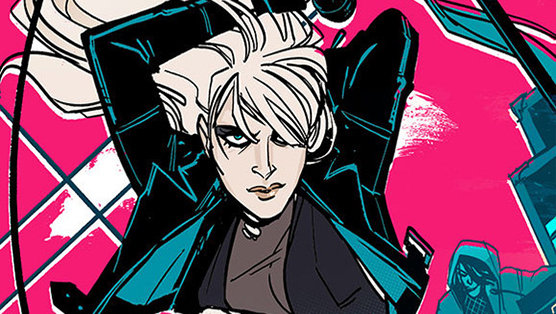 is the Black Canary "out of Gotham’s hippest suburb, Burnside." The page has bios and tour dates that include Metropolis, Central City, Keystone City, among others. Check out the tracks now in the player below. They're actually quite good. The self-described "blend of electronic beats and killer riffs," is pretty accurate and bring to mind early Berlin. Enjoy!